This is trend following trading system. 4H trader indicator (arrow buy) is above support line. 4H trader indicator (arrow sell ) is below the resistance line. Profit Target predetermined (examples EUR/USD 60 pips, AUD/USD 55 pips, USD/CHF 50 pips, GBP/USD 60 pips, GPB/GPY 70 Pips). Place initial stop loss on the previous swing, after 30 pips in gain move stop loss at entry position. 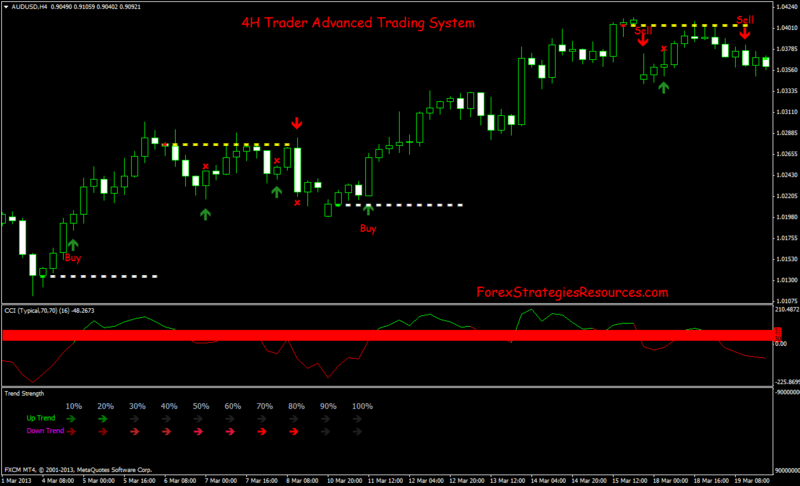 This strategy:4H Trader Advanced Trading System is also good for trading on the Binary Options. 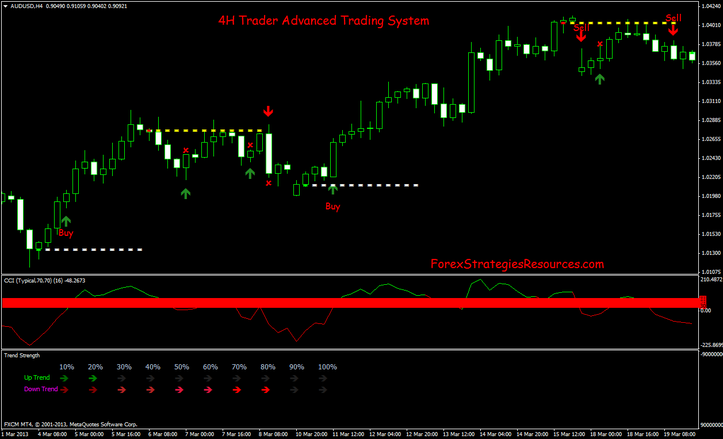 In the pictures below 4H Trader Advanced Trading System in action. only for 4h?can i use it on 1hr or 15min? Are the source files of these indicators also available ? If yes, where may I get them. Mario the compressed files are extracted using a program like win zip or winrar. After which you put the indicators in your meta trader/experts/indicators folder, and the tpl file in your meta trader/templates folder. Close mt4 restart and load up the template. Good Luck. Where do the compressed fies go exactly? 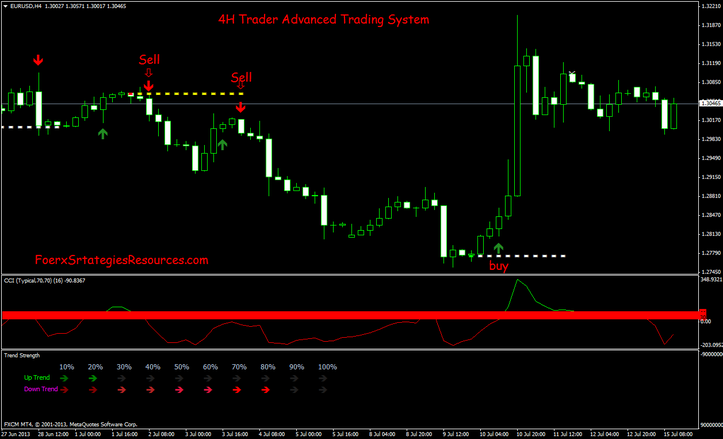 4H Trader Advanced Trading System: indicator and Template.